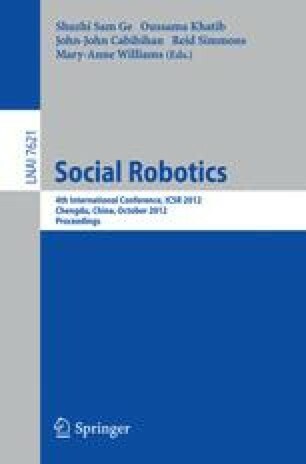 Social robots have been a valuable tool for autistic children to learn about play and interaction. The study was carried out on children diagnosed with high-functioning autism. A 30 cm tall tele-operated robot named, “Rofina” was used to study the interaction between autistic children and robot. With a 2- DOF head on the body, Rofina displayed basic emotions and exhibited social pleasantries while playing a board game with the children. During the study, the autistic children were comfortable with the robot’s presence. The children appreciated that Rofina addressed them by name and looked towards them. These children, who normally did not finish the game, managed to complete the game with enthusiasm. More user studies need to be done in order to support these findings and by using larger sample size in a real-life scenario. There is potential for Rofina to be used in a classroom setting for children with special needs.